A centuries-old beverage which has played an important role in Indian culture and is now part of everyday life in many parts of the world. The spices used vary from region to region but the most common are cardamom, cinnamon, ginger, cloves and pepper. 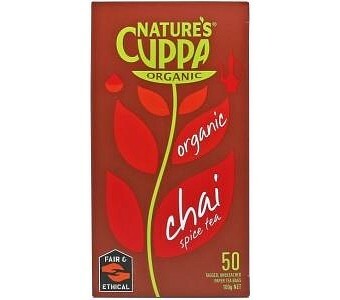 Chai must have an added sweetener or the spices seem to lose their full fragrance and robustness. It provides a warming, soothing effect, acts as a natural digestive aid and gives one a wonderful sense of wellbeing.